These Neighborhood Maps were created for my "A Small Kingdom" Project, but feel free to download and use them at your leisure! 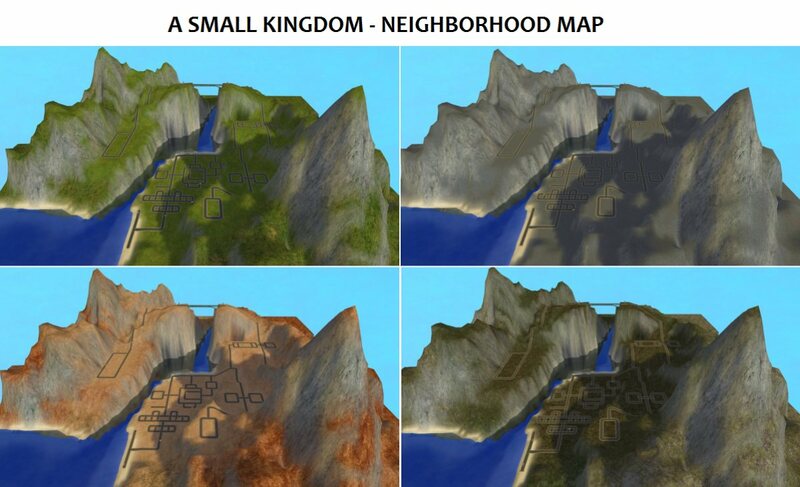 This set of 4 maps is the main neighborhood for "A Small Modern Kingdom". The Residential Castle, The Apartment Manor House, Terrace Row House Apartments, Medieval (Dorm/College) Apartments, Home Business (Antique Furniture Shop/Beauty and Barber Shop), Village 1 (Prison and Doctor APARTMENT Lot), Village 2 (COMMUNITY Shops), Village 3 (Great Hall COMMUNITY BEACH Lot), Village 6 (Church and Parson's APARTMENT Lot), Hovel Residential Lots, Hovel Apartment Lot AND 6 Starter Houses. 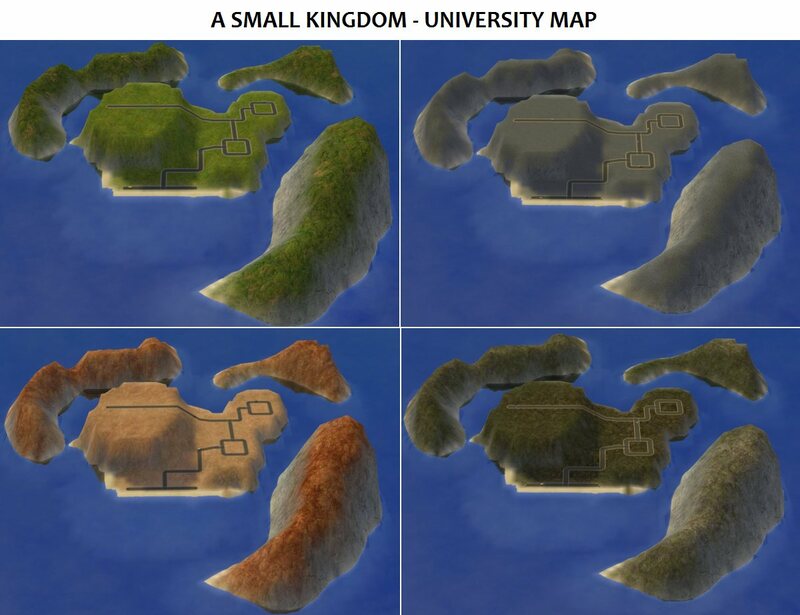 This set of 4 maps is for the University/College lots for "A Small Modern Kingdom". 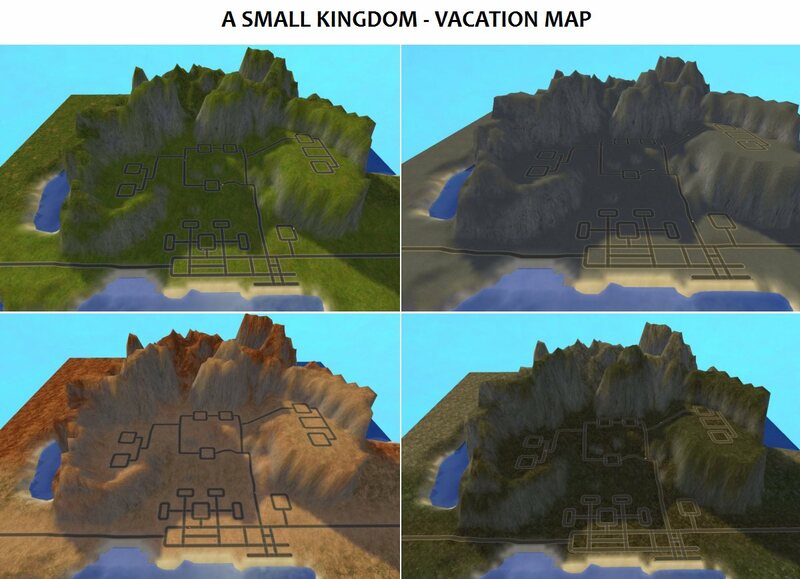 This set of 4 maps is for the Vacation lots for "A Small Modern Kingdom". The Castle Hotel, The Residential Manor House, The Residential Hovels, The Hotel Hovel, 6 Starter Houses, Terrace Row House Hotel, Village 2 (COMMUNITY Shops), Village 3 (Great Hall HOTEL BEACH Lot), Village 4 (Lighthouse Camp HOTEL BEACH Lot) AND Village 5 (Tavern and Inn HOTEL Lot). * Please be aware that Beach Lots Created by other users tend to shape themselves to the map the creator used when designing the lot. If you are adding Beach lots created by other users, you may need to play with lot placement. This does not pertain to lots you create yourself using these maps. 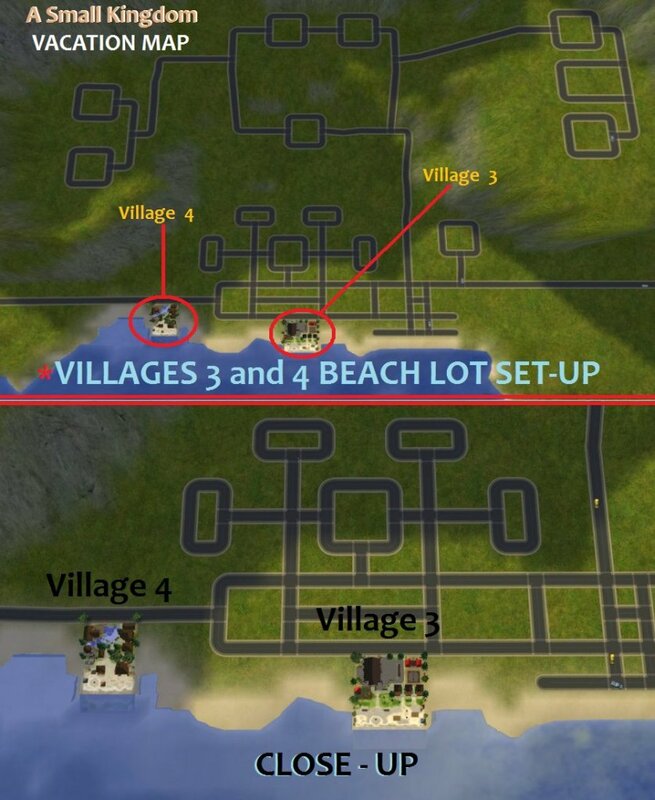 * The Village 3 "COMMUNITY" BEACH LOT can fit in most BEACH slots in the "A Small Kingdom" NEIGHBORHOOD, UNIVERSITY and VACATION maps. 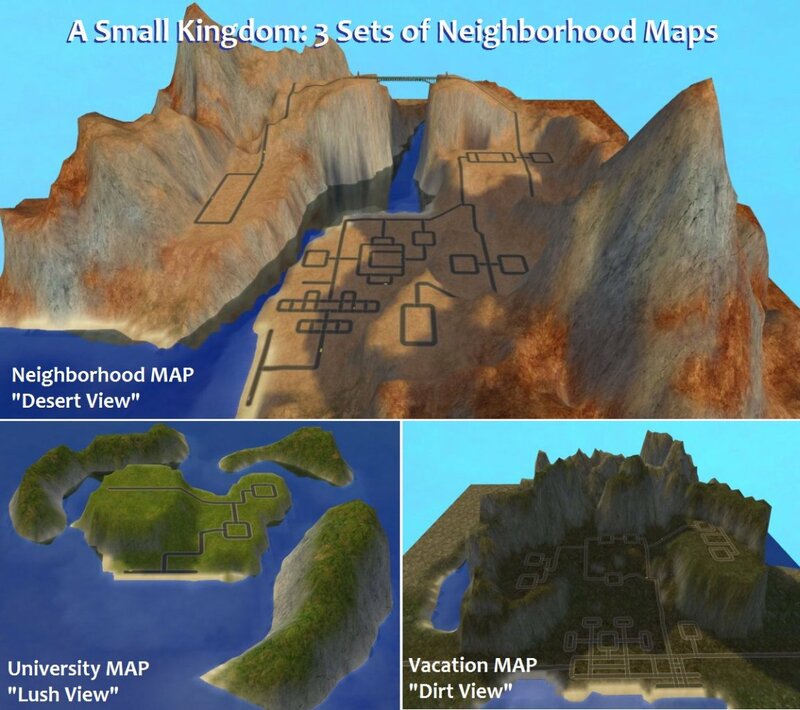 "A Small (Modern) Kingdom" has 6 seperate uploads that include 3 Sets of Neighborhood Maps and 5 Sets of Modern meets Medieval Lots (Castles, Hovels, Villages, Row Houses, etc.). Please note that many of the lots have several versions to include RESIDENTIAL, APARTMENTS, HOTELS, COMMUNITY LOTS and BEACH LOTS. So be sure to check each one out!